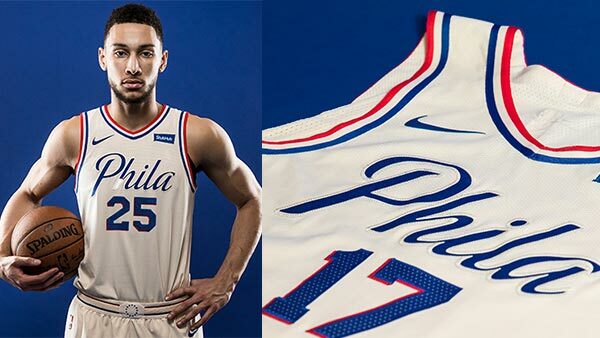 PHILADELPHIA (WPVI) -- The Philadelphia 76ers are looking to make history on the court while wearing history. On Wednesday, the team unveiled 'City Edition' jerseys inspired by the 1776 signing of the Declaration of Independence. The 'City Edition' has parchment color and the 'Phila' lettering is in the 'signature' script. 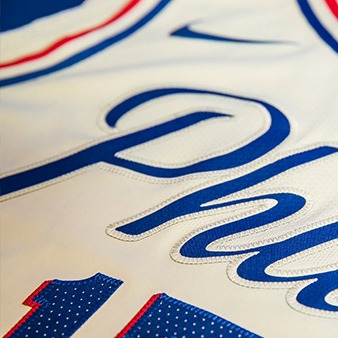 The team says the jerseys celebrate the "revolutionary spirit of the city of Philadelphia." The trim features red, white and blue stripes. 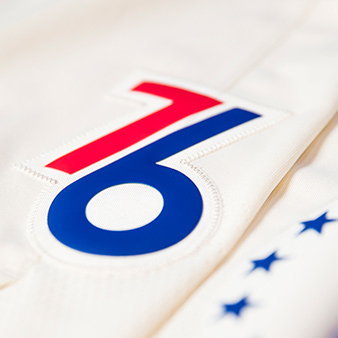 The team says the "76" on the side of the shorts was inspired by the Bi-centennial celebration held in Philadelphia in 1976 in honor of the 200th anniversary of the signing of the Declaration of Independence. "This is our nod to the people of this great city who've been in it for signature moments since the very beginning," the 76ers say.